Many of our company’s members are local military veterans certified and experienced in the standards and practices of the communications industry. 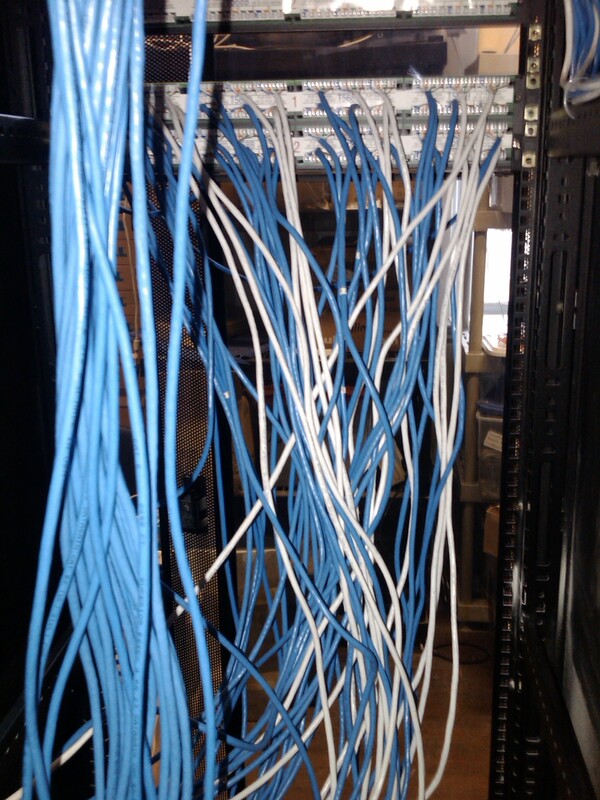 With 15 years of experience in the Telecommunication industry, our technicians are familiar with a multitude of telecommunications vendors' products as well as top of the line fiber optic and copper testing equipment.We have a vast knowledge and experience in Corning Fiber Optics, as well as many other vendors’ products. 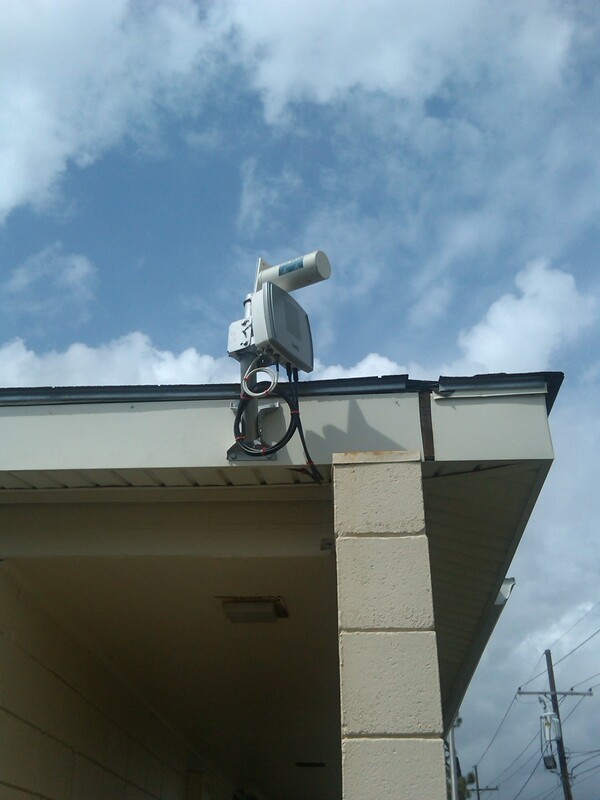 Using the most current tools and testing equipment for fiber optics and copper, we are currently upgrading and rebuilding quality networks in New Orleans and surrounding areas. PVC ran on the outside of a building for fiber and network drops. 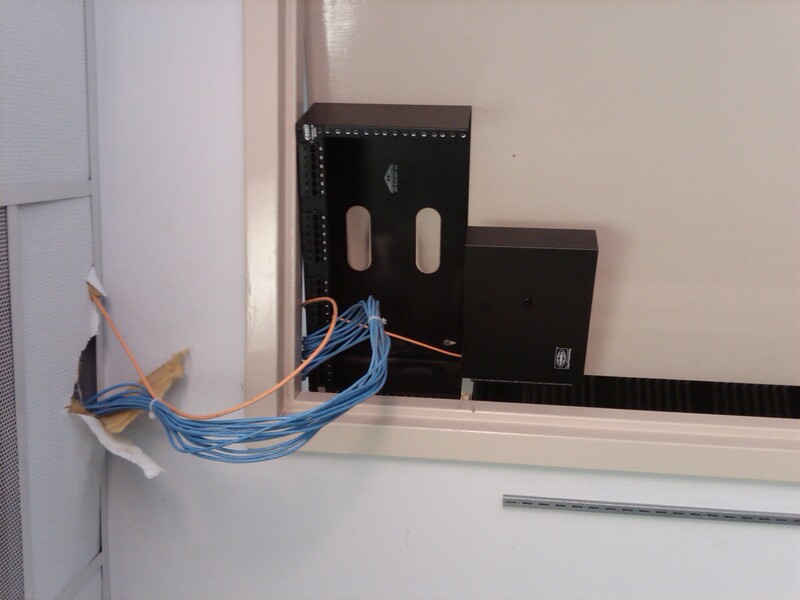 Fiber Rack and patch panel mounted on a door.